So, the wise driver passes through the carwash and gets ‘The Works’--the car is cleaned inside and out, waxed, vacuumed and one of those little air fresheners is swinging from the rearview mirror. Having your teeth cleaned is the same. No! Having your teeth cleaned isn’t the same. While a car wash can make a car clean and shiny, having your teeth cleaned does way more than that! Today we’re going to talk about reasons you should get your teeth cleaned because there are way more than you’d think! You brush. You floss. Then, about six months after your last cleaning, you notice that your teeth no longer feel smooth. Maybe they look like the back of your Chevy like when the lawn man went crazy with the blower cleaning up after a monsoon storm. You might even have coffee, tea, or tobacco stains. After a certain amount of time, home cleaning is no longer sufficient, and you need a professional cleaning to give you that smooth feeling when your tongue slides across your teeth. To do this, we use a periochart. 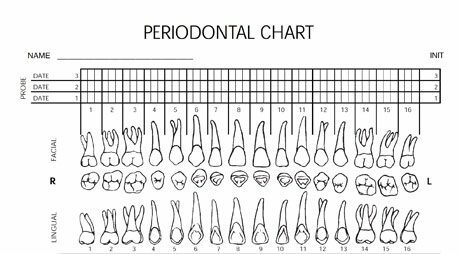 A periochart (short for ‘periodontal chart’) is the depth of the cuff of your gumline and where it attaches to each tooth. We check each tooth in six places. The staff member checking the teeth calls out these numbers, and another employee records them. 1-3 mm is usually the safe zone, while 4 mm is problematic, and 5-6 mm indicate the need for immediate action. 7 MM and above means the tooth is in danger of loss, even with surgery or other treatment. Sometimes, gum tissue can become infected by gingivitis or periodontitis. When gums bleed, it’s an indicator that one of these conditions are present. In addition to bleeding, a patient may experience swelling and a sensitivity of the gums. The hygienist is looking for signs of health problems. They will check for ulcers and abscesses of the gums and mouth. These can indicate anything from an abscess to cancer to other diseases. Also, there are other diseases which can first be detected by changes in your gums, tongue or mouth. We are trained to check for them, and often times the dentist knows about a health issue before your GP. We remove plaque and calcium deposits. Plaque and calcium deposits are part and parcel of the cleaning process. Remember how your teeth didn’t feel smooth? The cause is a buildup of plaque and tartar, which is why dentists advise regular professional cleanings. Even when you do a great job with your oral care, plaque and tartar (plaque which has hardened) will sneakily build up in spots you can’t reach. Since tartar offers bacteria a place to congregate, it needs professional removal. Fluoride treatments are beneficial for young children and patients who have one or more risk factors for developing dental decay. A patient with excellent dental hygiene and no problems will probably not benefit from topical fluoride treatments. 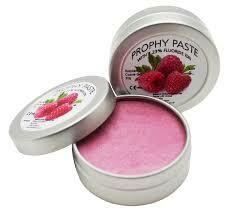 But for children and adolescents, a fluoride gel or varnish can help protect those new teeth. Clean teeth can still have stains. So, for cosmetic reasons, polishing those stains out can make the difference between a lack of confidence and a brilliant smile. Because cleaning isn’t just about oral health and preventing decay, it’s also part of restoring your bright, beautiful smile. And the great thing is, we can schedule a cleaning and get you back on the road of regular checkups and oral care even if it has been a while since you saw a dentist.